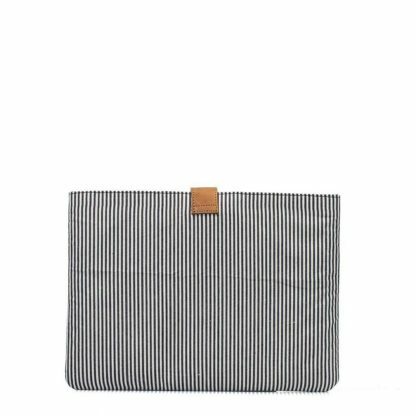 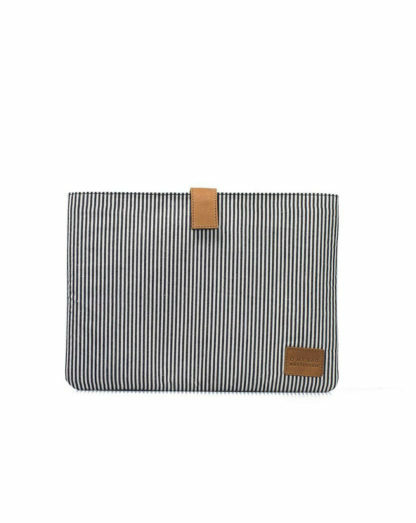 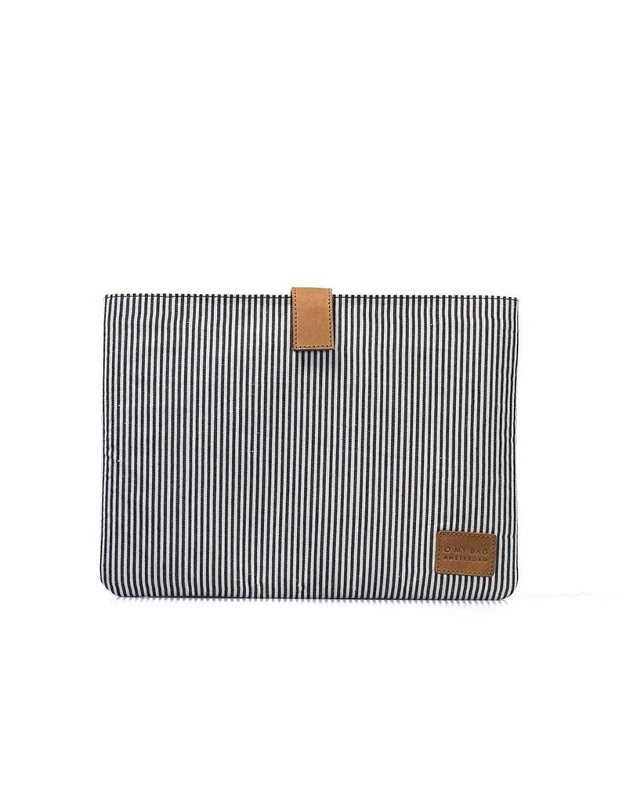 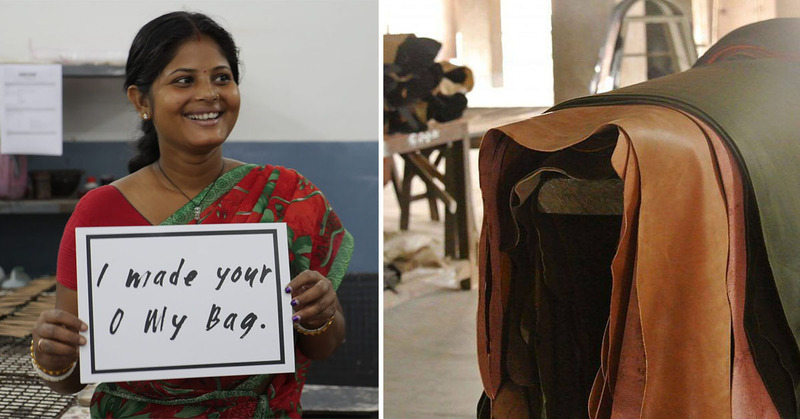 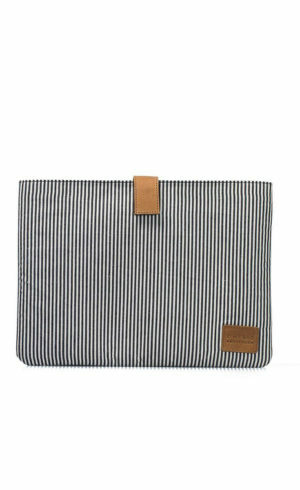 This fine laptop sleeve from O My Bag is made from organic cotton in Indian factories with proper working conditions and gender equality. 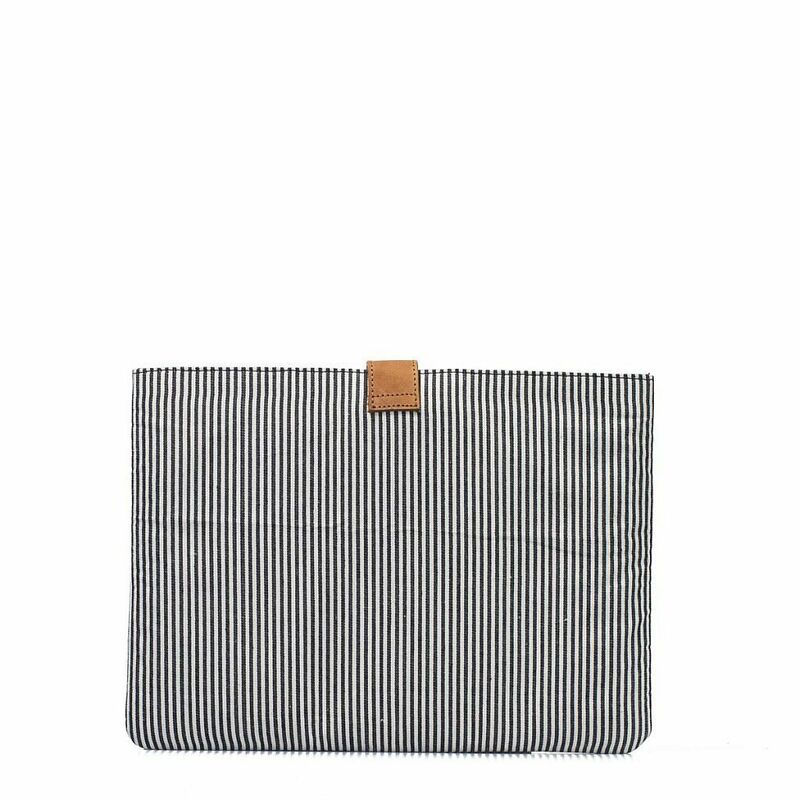 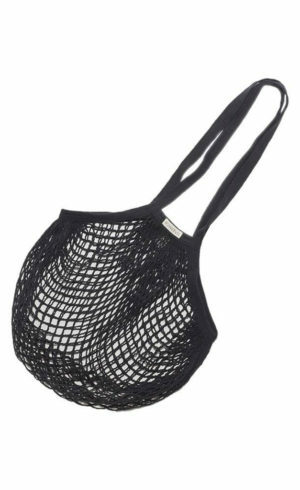 The sleeve is closed with velcro on an eco-friendly leather strap. 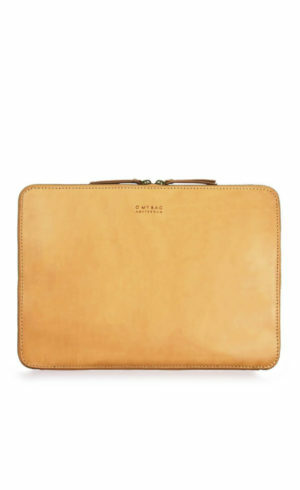 It has room for up to 13″ laptops and A4 documents.